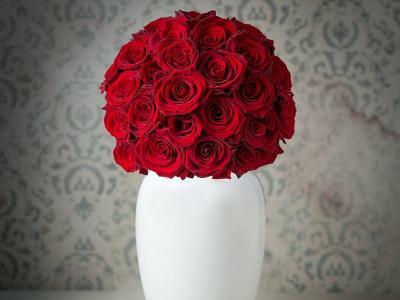 Whether you're looking to spoil a loved one with Dinner for two in Michelin starred Bohemia Restaurant, or gift a relaxing massage to someone in need of some "me time" we have it all covered! Vouchers will either be posted out to you or they can be instantly e-mailed to you or your chosen recipient if you've left gift giving until the last minute! Between November and March spend the night in a luxurious Deluxe Double or twin room complete with Frette dressed bed, full spa and thermal suite access as well as turn-down service with Bohemia shortbread. 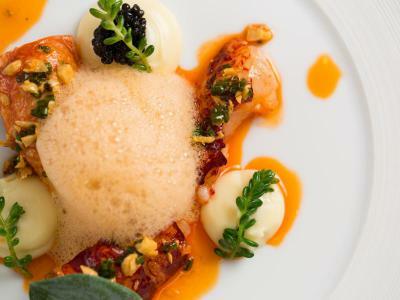 Delight your tastebuds with a 3 course dinner for two in Michelin starred Bohemia restaurant from our Classic Menu, and wake up to a wonderful continental breakfast to finish your stay. 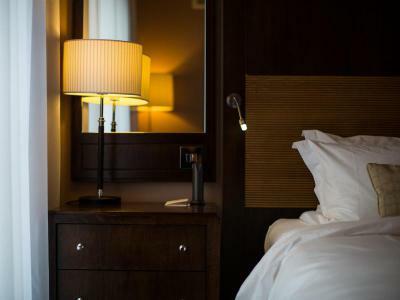 Between April and October spend the night in a luxurious Deluxe Double or twin room complete with Frette dressed bed, full spa and thermal suite access as well as turn-down service with Bohemia shortbread. Delight your tastebuds with a 3 course dinner for two in Michelin starred Bohemia restaurant from our Classic Menu, and wake up to a wonderful continental breakfast to finish your stay. 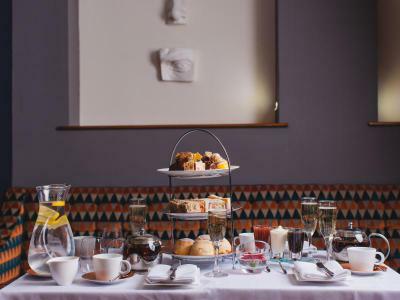 A selection of loose leaf teas and herbal infusions, plain and raisin scones served with strawberry jam, Jersey black butter clotted cream, Bohemian tea sandwiches and a delicate selection of cakes and fancies. 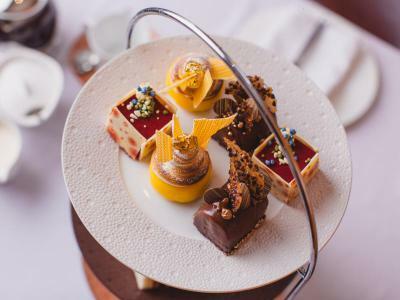 Full Bohemian Afternoon Tea, tea sandwiches, scones and a selection of cakes and fancies finished with a chilled glass of de Venoge Champagne. This 3 Course Menu is available for Lunch or Dinner and includes the best local and seasonal produce which Jersey has to offer. With a choice of 3 dishes for each course there is bound to be something for every guest to savour. 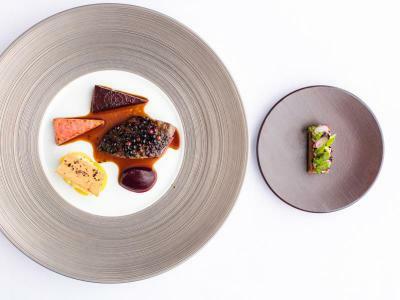 A choice of Tasting, Pescatarian, and Vegetarian menus this 7 course menu is a showcase for the incredible food being produced by Head Chef Steve Smith - Available for Lunch or Dinner. This all over body massage is designed to work on stiff, tight and fatigued muscles and joints after sports or a day of physical stress and strain. Deep tissue techniques are used to warm the muscles while manipulations and stretching help to ease the body and release tension. Ease away the day’s stresses and strains and bring body and mind back into balance. This massage fuses the best of practices from East and West. Carefully applied pressures stimulate the nervous system while Swedish and neuromuscular massage techniques support a healthy circulation and soothe the body. Uses individually selected oils. This massage also includes face and scalp. A deeply purifying and relaxing treatment. This individually customised facial begins with a deep steam cleanse and peel to reveal a fresher more revitalised skin. Using, natural aromas, the deeply relaxing massage will help to remove impurities, calm and improve tone of skin. A sumptuously rich mask is applied leaving the skin renewed with a more even complexion. This facial also includes a relaxing scalp massage and is suitable for normal, dry, sensitive or oily skins. Take it easy with a relaxing morning swim in either our outdoor saltwater pool, or indoor swimming pool, experience an invigorating wake-up in our experience shower, and enjoy full use of the spa's thermal suite from 8am to 12noon daily. 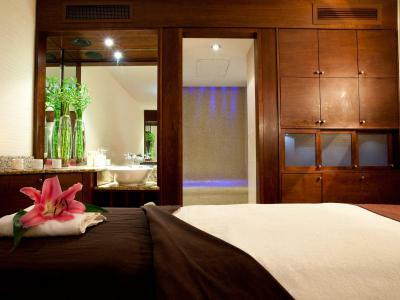 Included is a choice of either a 30 minute manicure or 30 minute pedicure or 30 minute back neck and shoulder massage. Upon leaving the spa take a seat in our lounge or terraces and enjoy a fresh Bohemia muffin with morning coffee or a selection of loose leaf and herbal teas. 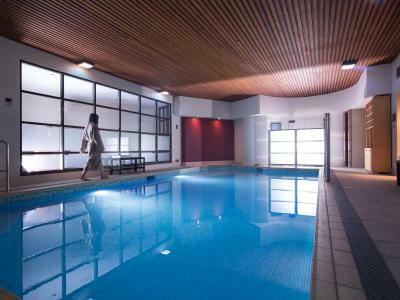 Relax in the Club Spa's thermal suite for the afternoon, swim in our outdoor saltwater pool or our private indoor pool and relax on the terrace. Choose between either a 50 minute de-stress muscle massage or Pure Skin facial, followed by Full Classic Bohemian Afternoon tea. Vouchers are priced per person. Your therapist will prepare the finest Rasul mud for you to take into your seated chamber leaving you to lavish mud over the face and body. Known for its healing properties the Rasul mud will improve skin texture, detoxify and soothe leaving the skin incredibly soft and renewed. Soft music will lull you as the gentle jets of steam open the pores allowing the mud to work at a deeply therapeutic level. 45 minutes is required for the Rasul experience. Restful Resolutions spa day includes a Rasul Mud Experience, Stress busting 25 minute back, neck and shoulder massage, 25 minute Fresh Essence Facial, full use of spa facilities for the day, Spa lunch by the pool or roof terrace and a chilled glass of Champagne. Vouchers are priced per person.